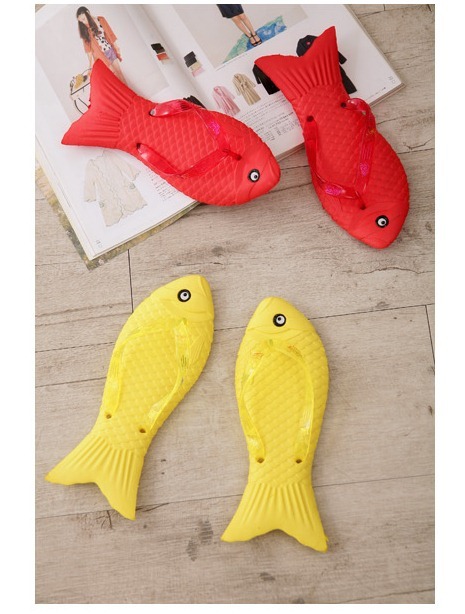 No matter whether you’re talking about butterflyfish, lionfish, parrotfish or whale sharks – fish are incredible creatures living in a mysterious realm of which we have much to learn. 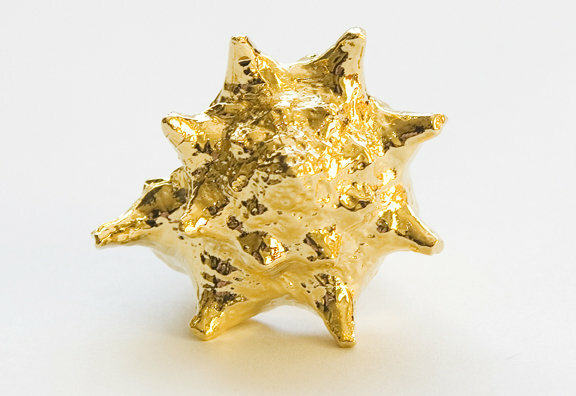 While living and working in the Fiji Islands I was fortunate enough to do a great deal of snorkeling and scuba diving. 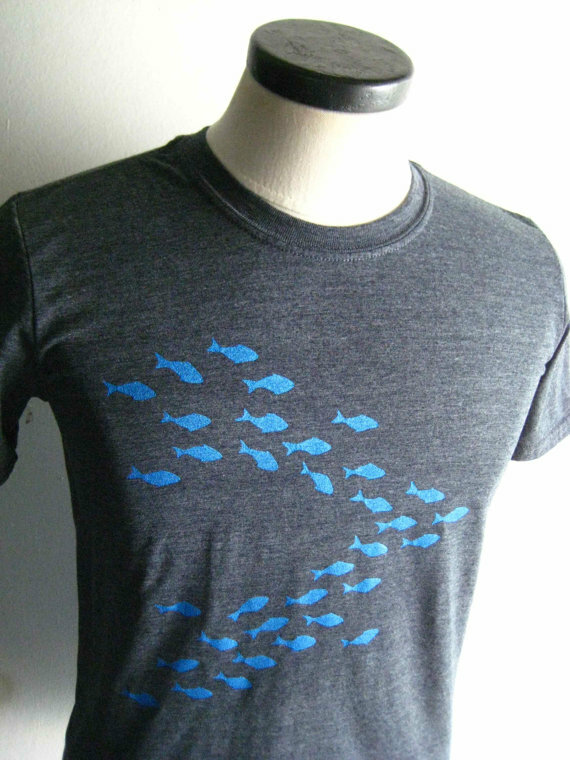 During this time I saw a plethora of fish adorned in the most spectacular colours and patterns. 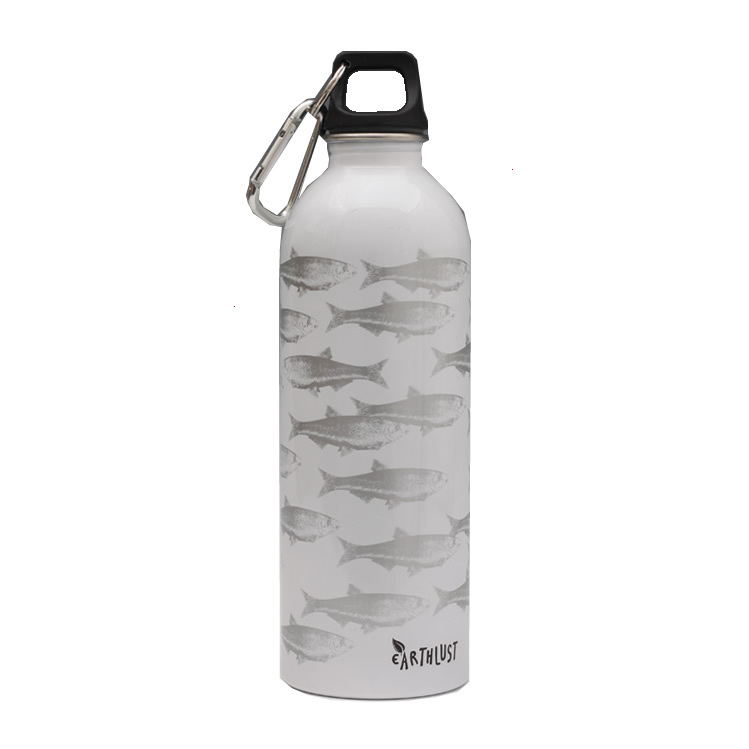 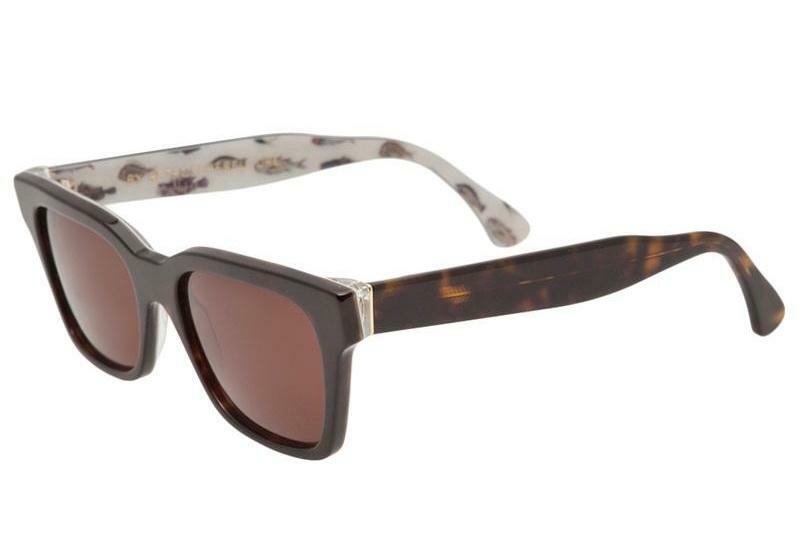 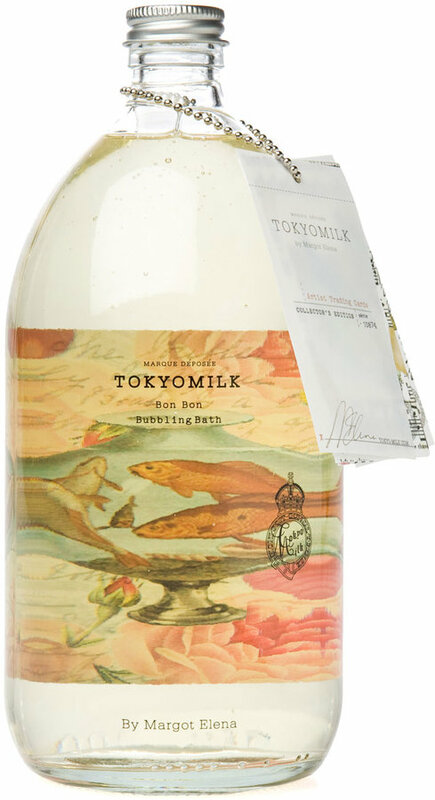 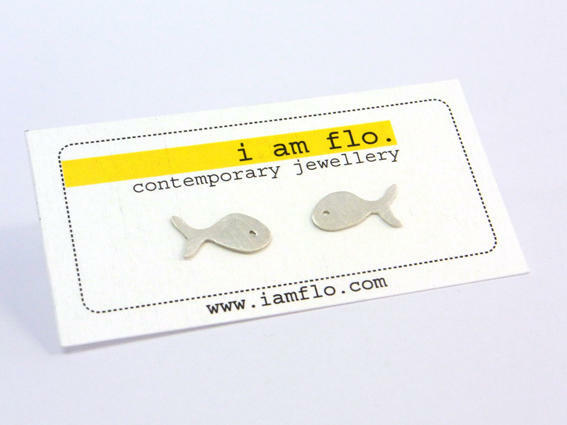 This round-up was inspired by these wondrous watery animals! 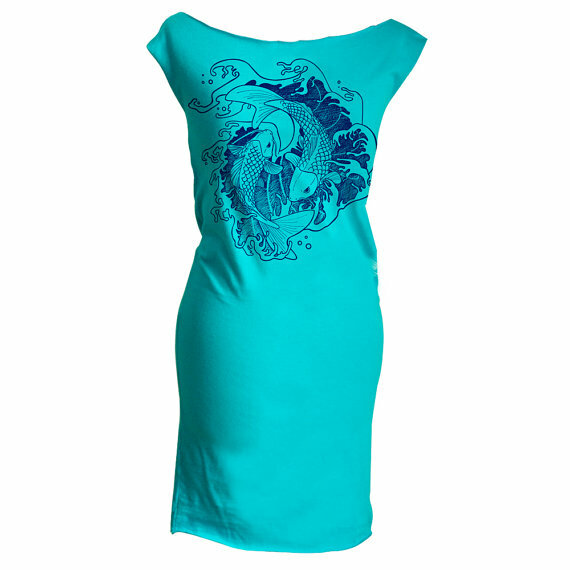 Aquarium Dress by QooQoo Fashion – The underwater world drawings gracing this handmade dress are sublime! 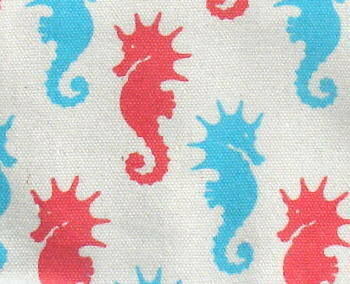 This dress is aquatic fashion FUN! 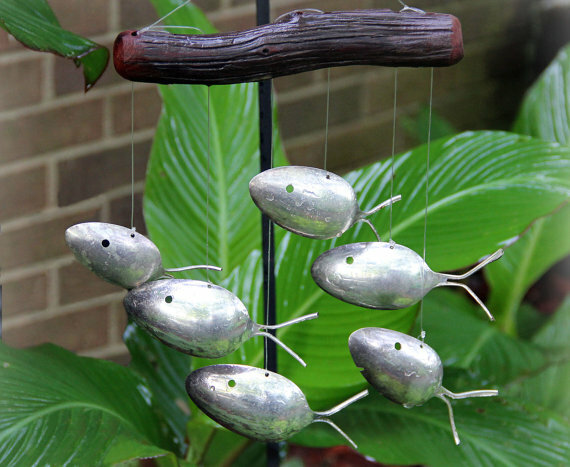 Antique School of Silver Spoon Fish by Neva Starr – These funky wind chimes have been created using upcycled antique silver plated utensils dating back as early as 1847! 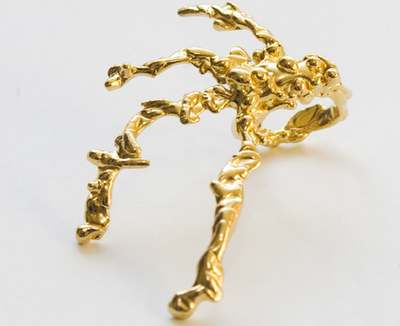 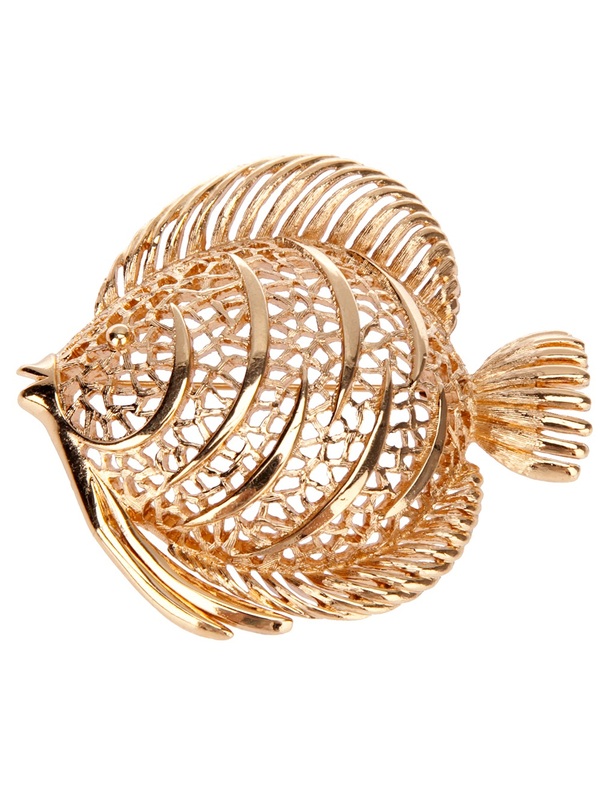 Vintage Fish Brooch from Monet -This is such a brilliant quirky vintage piece to liven up a great jacket or coat! 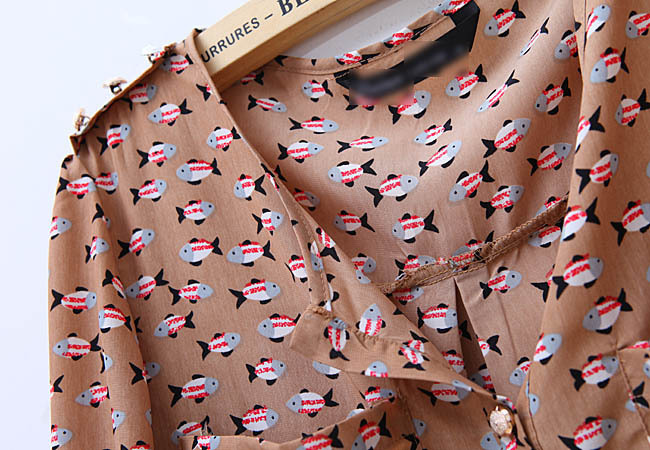 Vintage Fish Print Top from Sheinside – This quirky shirt will help you hook some attention as you strut your stuff! 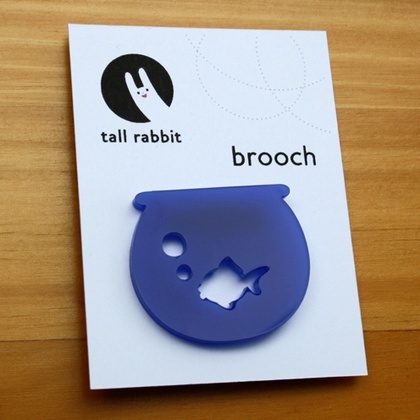 Fish Bowl Brooch by Tall Rabbit – This is such an adorable accessory and it’s limited edition so you can feel extra special when you pin it on! 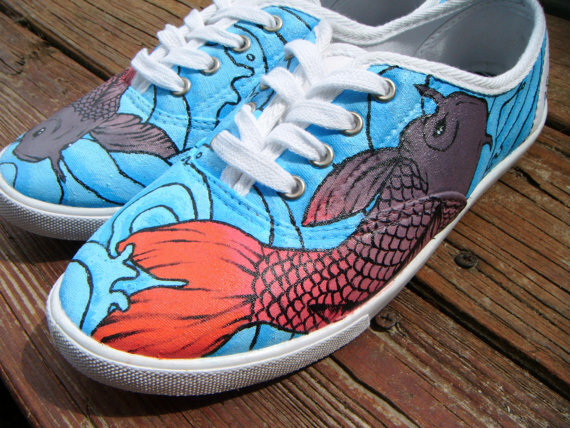 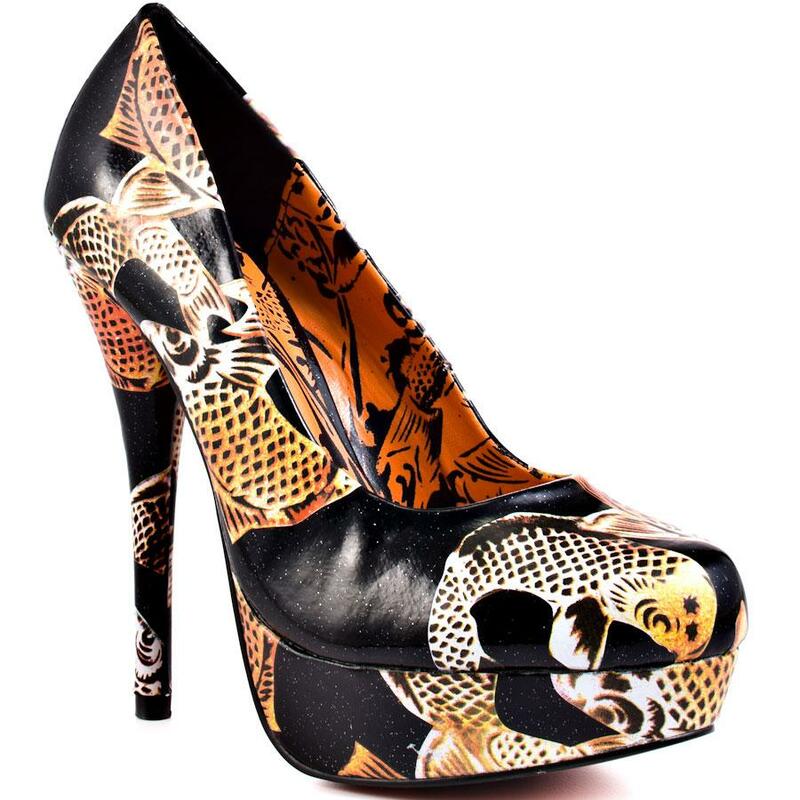 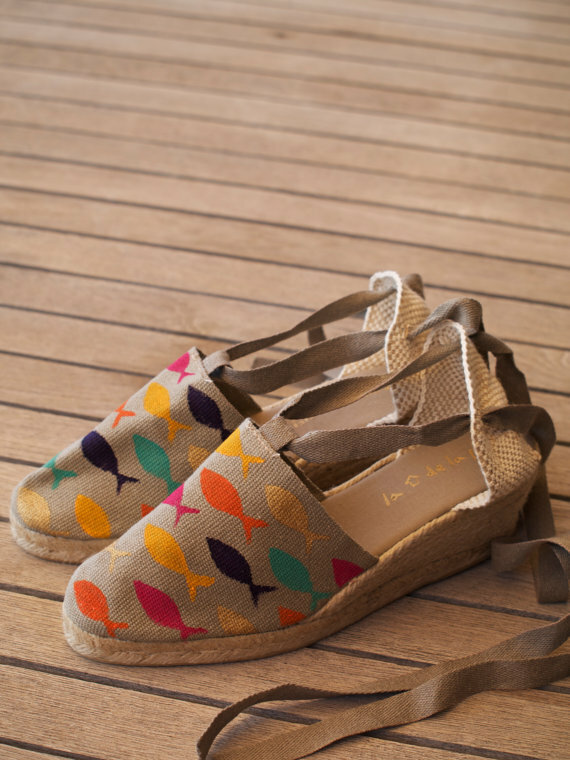 Koi Fish Shoes by Deanna Weibel – Send your fair-trade, eco-friendly vegan shoes to Deanna and she’ll pretty them up for you with her paintbrush! 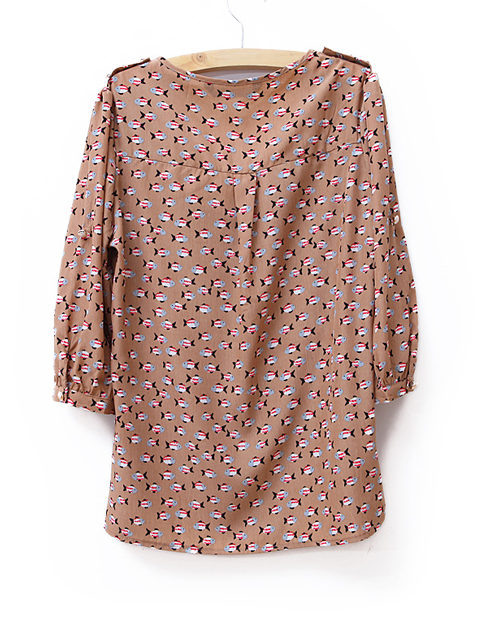 Green Fish Blouse by Charlotte Taylor – This top (pictured here with a bonsai print skirt) is just stunning! 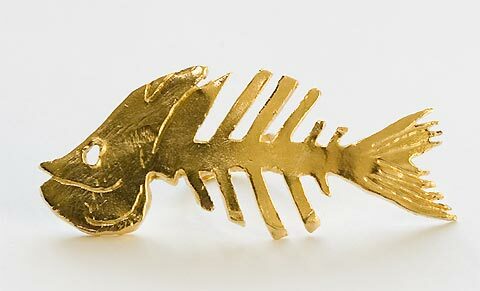 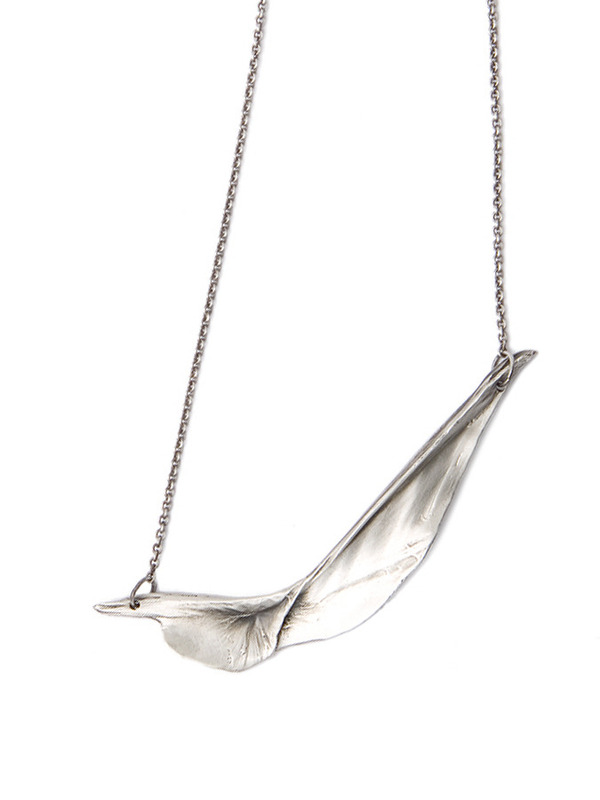 Go Vegan Fish Pendant by C Robinson Design – This little fishy was handmade out of earth friendly recycled aluminum. 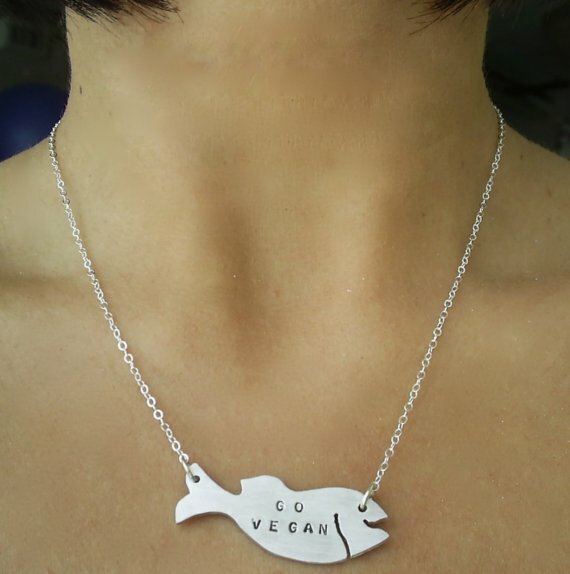 He’s got a vested interest in promoting a animal-free diet! 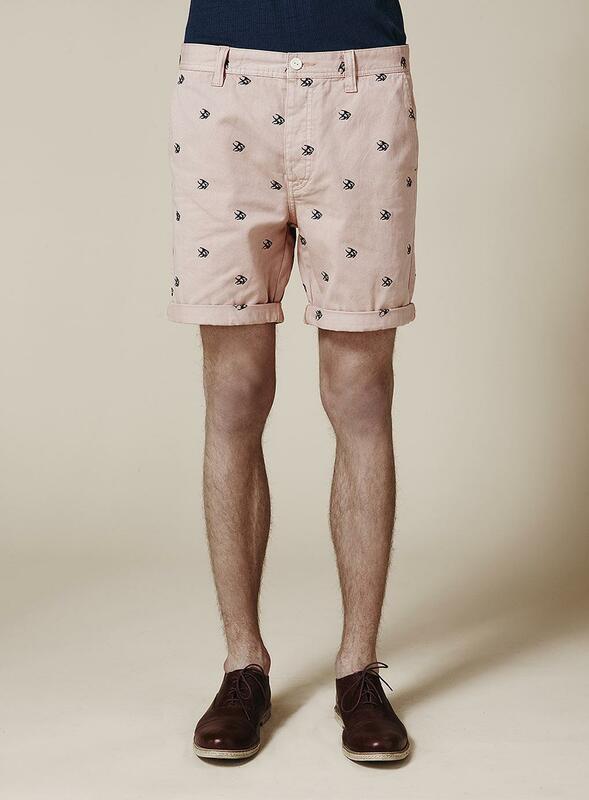 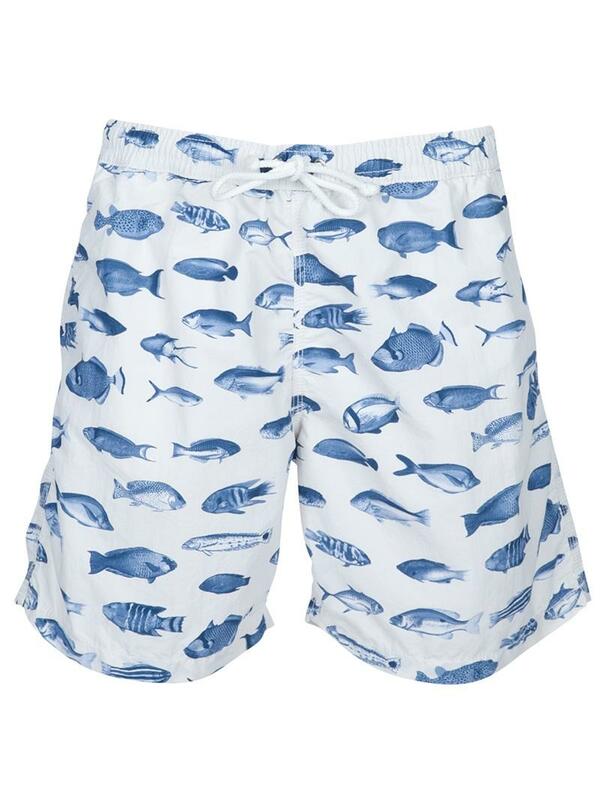 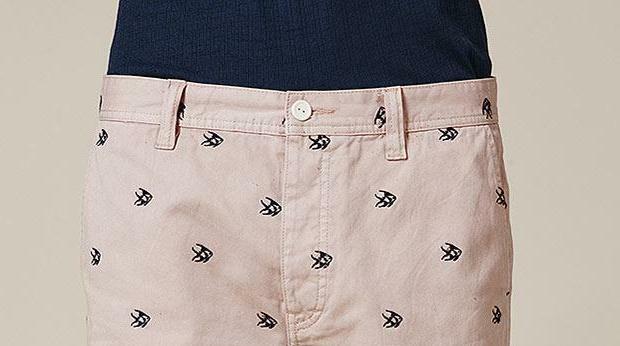 Men’s Fish Swim Shorts by Hartford -These board shorts are just crying out for a dip in the ocean! 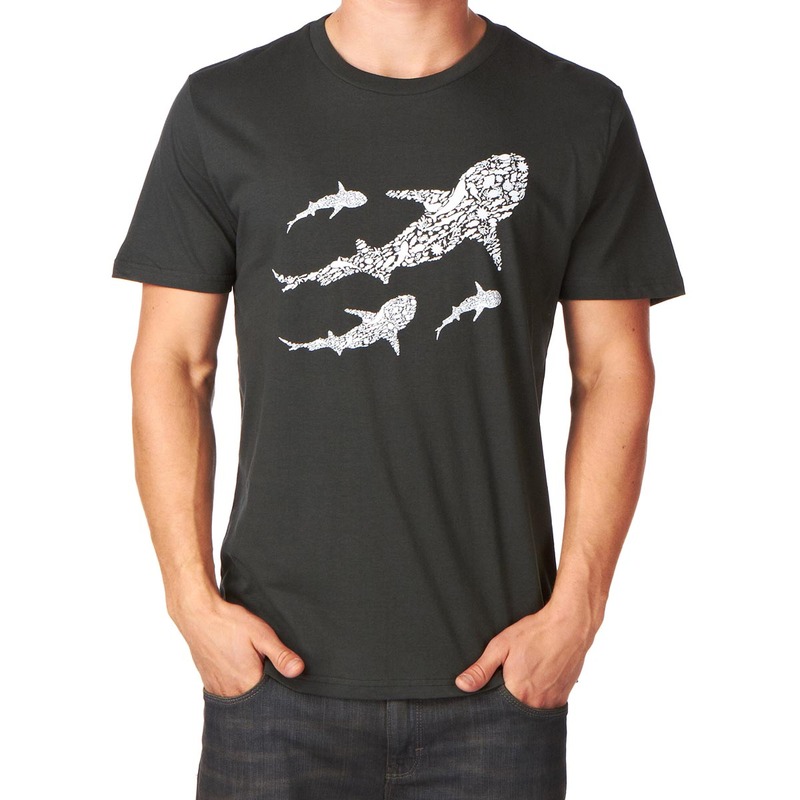 Stingray Tee by Barry Fitzpatrick – Not only is this lovely tee made from 100% organic cotton, ethically sourced and produced, and carbon neutral…but purchases also help to support the Australian Marine Conservation Society! 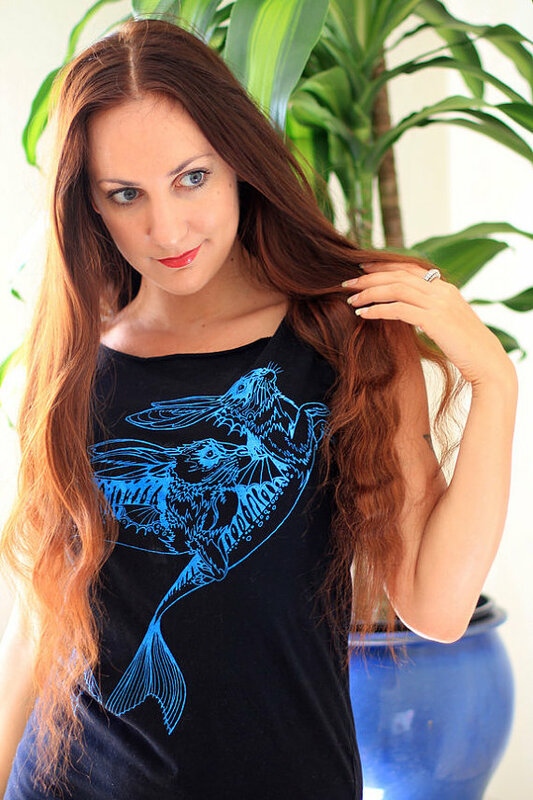 Teal Fighting Japanese Koi Fish T-Shirt Dress by Yay for Fidget Art – I find the combination of this colour and the hand-printed artwork so striking. 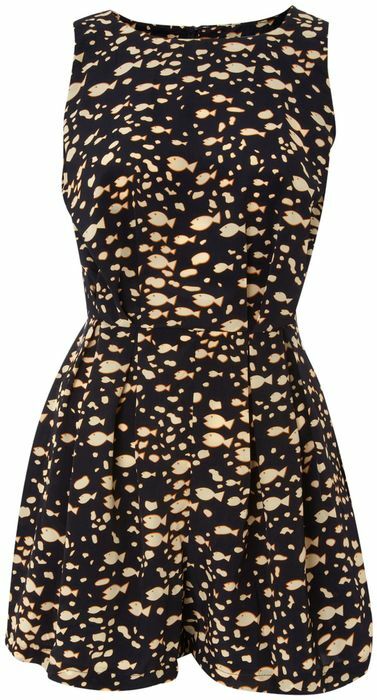 This dress looks super comfy too! 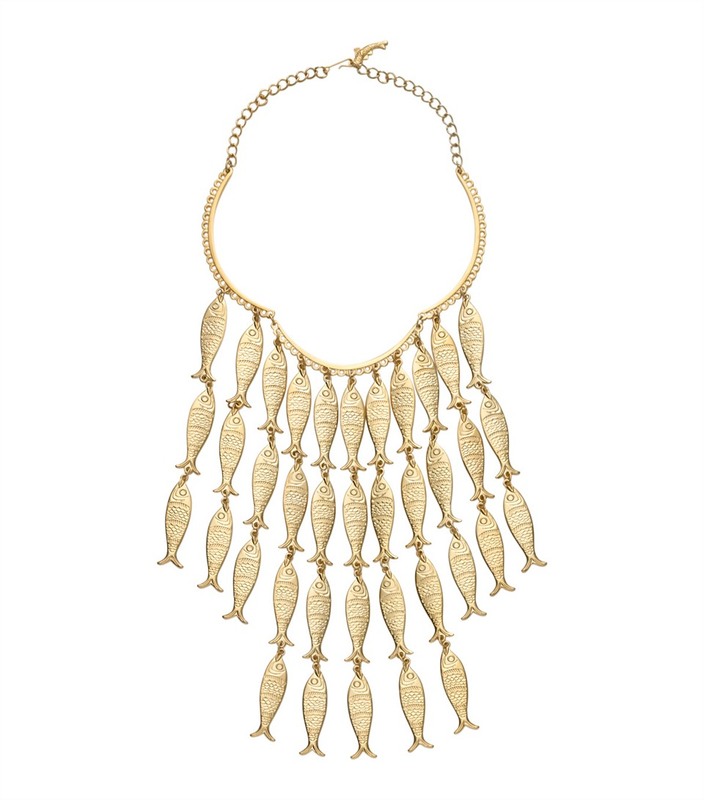 African Trader Necklace by Sweetlime – This eclectic piece was inspired by a time when beads were used as currency. 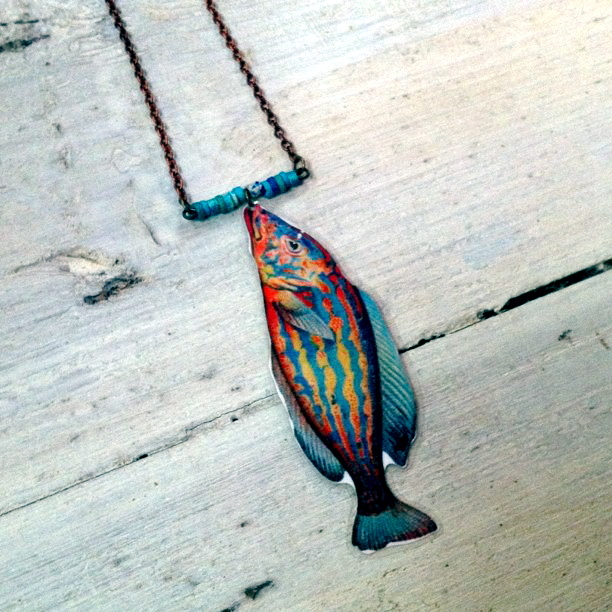 This handmade necklace features a Moroccan metal fish, Afghani tassel, Nepalese Beads, African trader glass beads, Indian metal bead, resin tusk and a painting of Hindu God – Shiva…AND it’s the only one of its kind! 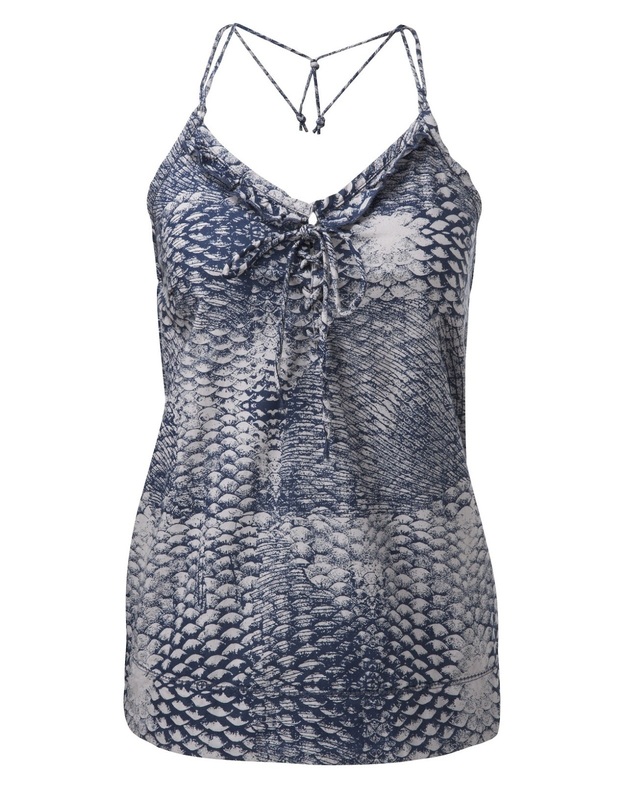 Fish Print A-Line Dress by Rachel Roy – Love the colour, love the cut, love the fish! 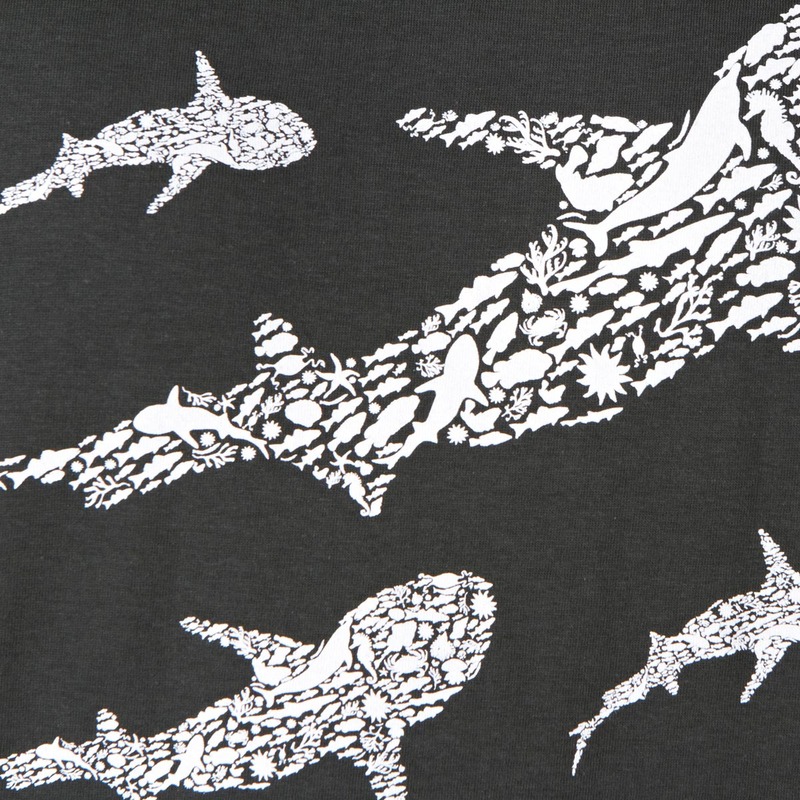 Save Our Seas T-Shirt by Rapanui – This astounding and intricately designed print was created especially for the Marine Conservation Society, with 50% of the profits going toward marine conservation work. 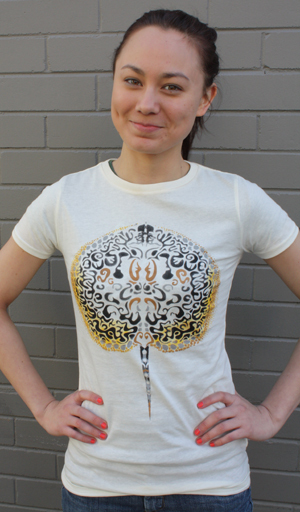 If that wasn’t awesome enough, this organic cotton tee was made in a wind-powered, Fair Wear Foundation audited factory! 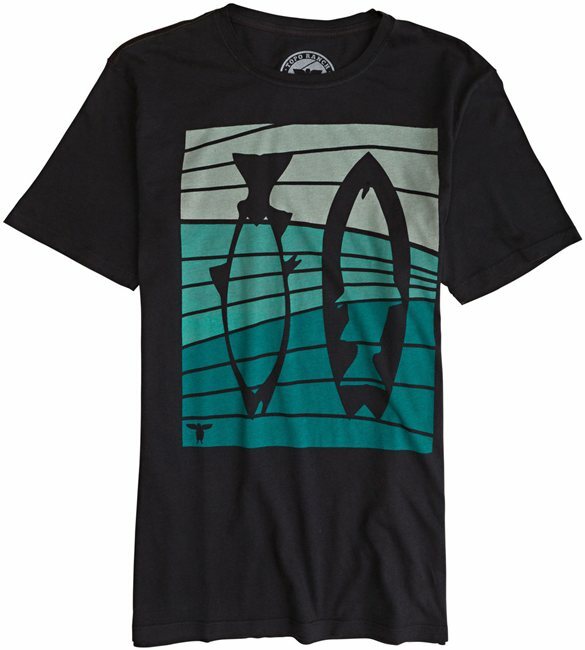 Fishboard Tee by Topo Ranch – This is such a cool surfer shirt and the fact that it’s 100% organic cotton makes it that much cooler! 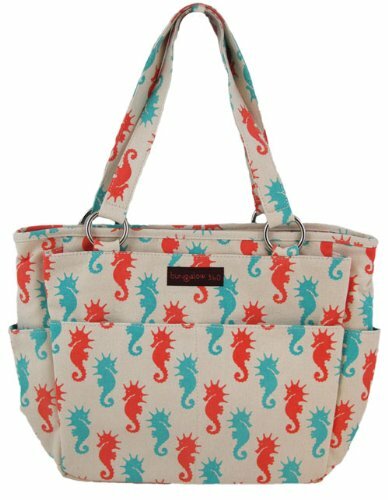 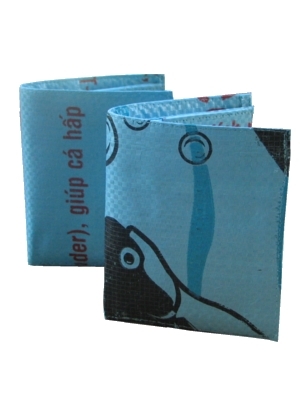 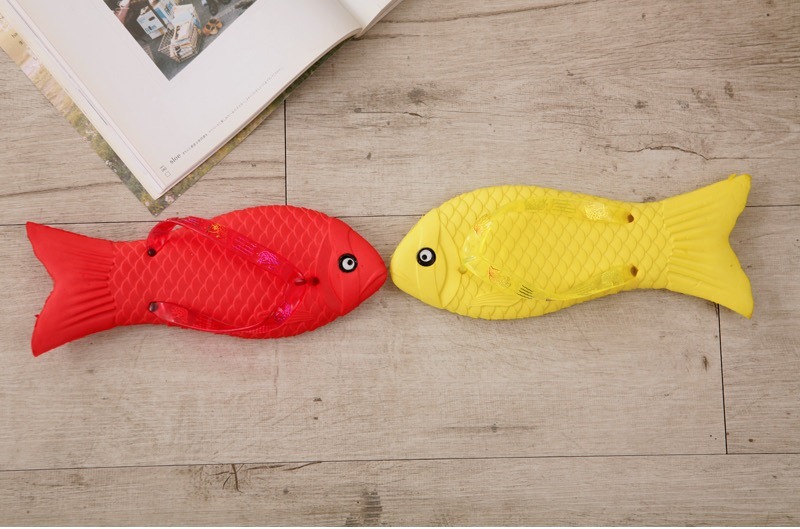 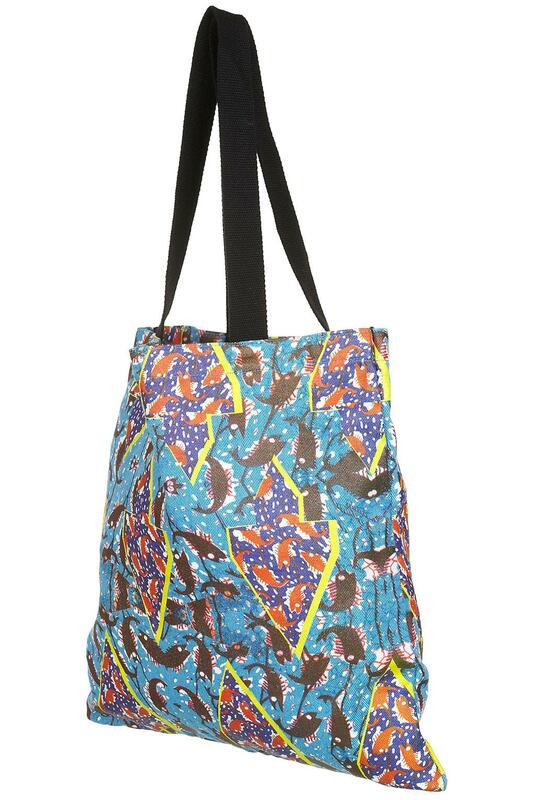 Quilted Snappy Fish Bag by The Rodnik Band – This vegan bag puts the pizazz in piranha! 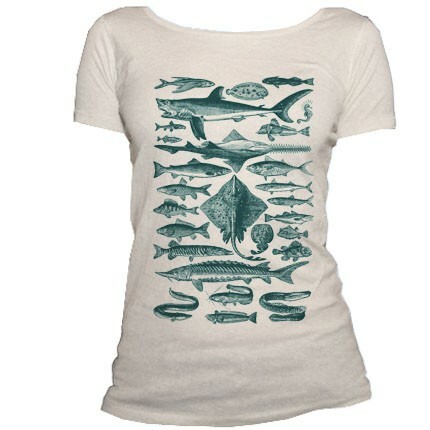 This is such a great collection! 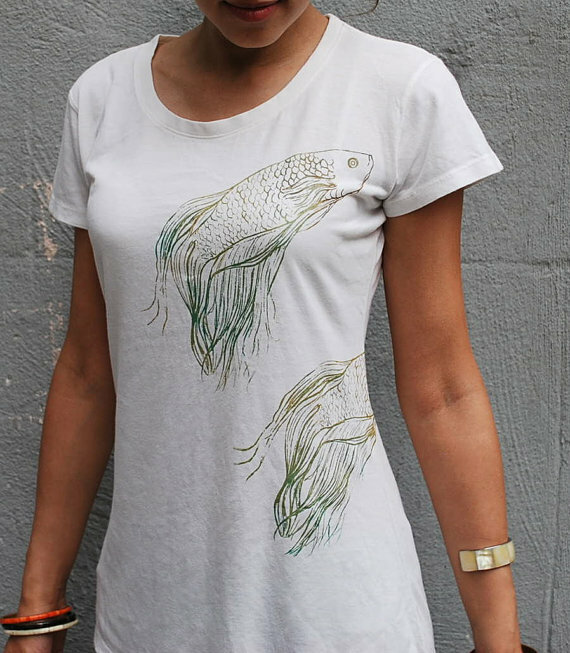 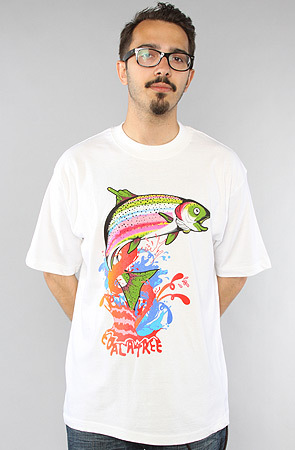 thanks so much for including my betta fish bamboo & organic cotton tee! 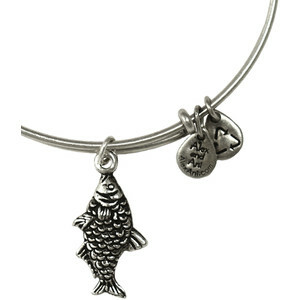 I love so many of the items on here, especially the mermaid dress and the fish necklace.